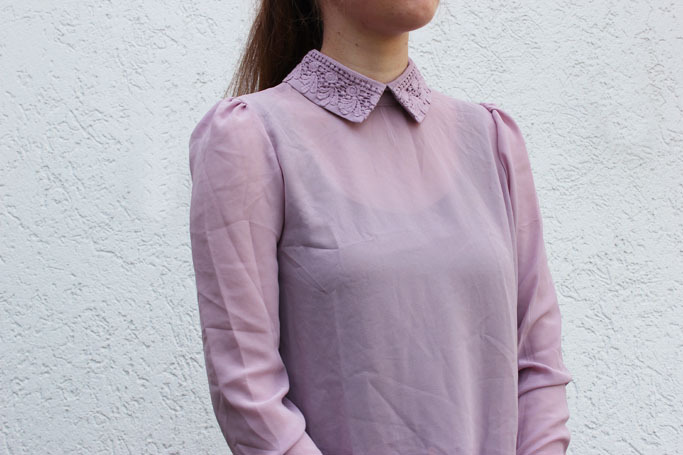 Love the blouse and the details on the collar, you look amazing! Love the second outfit so much. Your so pretty. So lovely as always! I love your gentle style hun! The first outfit is my favourite! So so elegant! Such a gorgeous overcoat - such a good price too, very 1960's! Beautiful shoes! Love the color. Ugh. I had a bunch of coats like these that I did not keep cause I had no idea what to wear with them. This is really cute. Wouldn't have thought to put them together. Love the jeans. I'm always looking for a way to dress up some jeans. The back of that top is gorgeous! Lovely coat and great shoes! I love these looks! So cute and timeless! Very nice look, I have the same coat and love it. That blouse is sweet. Wow sieht das toll aus! Darf ich fragen wie groß Du bist? Ich verschwinde in Oversize Coats immer so mit meinen 164. Dabei finde ich sie soooo schön und würde am liebsten nichts anderes tragen. So ein schönes Outfit! Ich mag vor allem deine wunderschöne Bluse! Hab einen tolllen Tag, Liebes! The coat looks so nice! 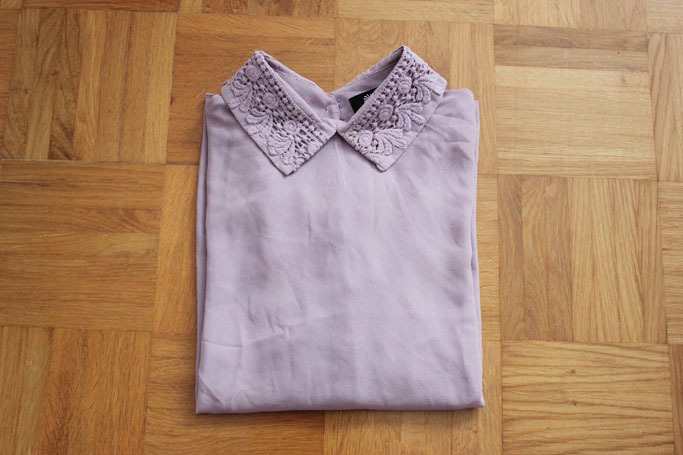 And that blouse is also pretty! Great coat! Love that purple blouse! The collar of that blouse is lovely! I like the coat as well! Great outfit. I love how you wore it with jeans, the coat really smartens up the casual outfit. Your coat is lovely by the way, the print is perfect. Love your second outfit especially. You look amazing, I love that coat! I love the delicate top. It is so pretty. Great styling! Loving it. You pulled it off with the jeans!! Wow, the jack is way to nice! Love it! Both outfits are great but first is my fav. Gorgeous coat! Que ideal me encanta la blusa y los zapatos! Herrliche rosa T-Shirt in dem letzten Foto ! I love the jeans and definitely need to get a pair myself! I love the color of the shoes ! This coat is really pretty !